This week, a group of our 5th and 6th grade students are in New York City for the Montessori Model United Nations Conference. They have been working for several months to research real United Nations topics and they will be presenting their speeches to students from other Montessori schools around the world. Watch the video to learn more about their big work. Montessori Model United Nations is an international group that seeks to empower young leaders through research, cultural studies, critical thinking, and problem-solving. MMUN works directly with the United Nations and implements elements of the Montessori Method to create an enriching experience for students and faculty. Like other Model United Nations programs, the students are given real countries and real topics to research and come up with resolutions. However, MMUN also incorporates many Montessori principles, keeping it in close alignment with our values around Grace and Courtesy, Peace Education, independence, and autonomy. We find that MMUN is a great compliment to our Upper Elementary Montessori curriculum. 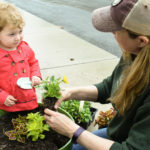 To learn more about Upper Elementary at Greenspring Montessori School, please visit our Programs page. Short Spanish language lessons given weekly in the Older Toddler communities provide the young children exposure to the Spanish language while at the same time supporting the Montessori method used in the classroom. We start and end the lessons with a short song during which we replicate the grace and courtesy of the classroom. By modeling greetings and farewells, the children are learning the customary way to interact with people in a respectfully and appropriately in our society. Once everyone has been properly greeted and acknowledged, we explore some everyday objects. Just as in the language lessons of the classroom, we select a collection of objects with which the children have had extensive experience. We use this selection in a modified three period lesson: first providing the name and the object to the child, and then providing the name and the child provides the object. These lessons not only expose the children to the names of objects in Spanish, but they also continue the work of classification and conceptualization of the world around them. In time, the child will move beyond the world of the concrete towards abstract thought. We also sing simple Spanish songs with gestures. These give the children a cultural aspect of the Spanish language. 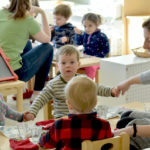 They also expose the children to rhythms and distinct musical phrasing, while at the same time developing their understanding of letter sounds and word composition. Children are drawn to repeat the songs and thus develop a sense of the phonology of the Spanish language. 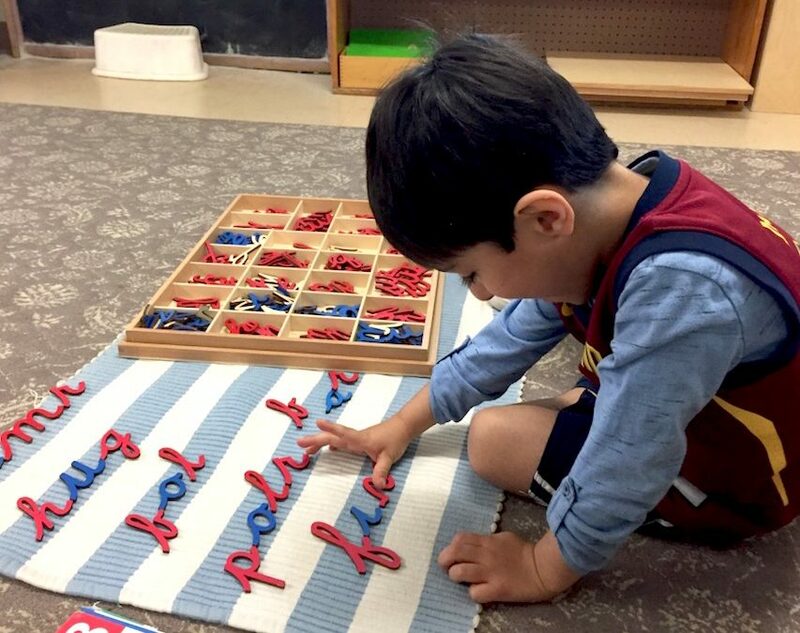 In our Older Toddler Dual Language classroom both languages come together in service of the child, providing cultural expansion where possible. The language section of the classroom, which is one of the two main foci of Toddler Communities, is offered in both languages. The children are acquainted with Spanish words from their everyday environment and are encouraged to share their own world with the classroom by bringing pictures and familiar real objects from home. Spanish is also used in daily interactions, giving the children experience being addressed in a different language. The children hear how to greet, ask for assistance, use proper table manners, etc. in Spanish. With time, the child’s ears become receptive to Spanish as a spoken language, even if comprehension might not always be present. Some children might even start to use some Spanish words spontaneously in appropriate situations. Finally, through music, we open the children’s world to Hispanic culture little by little. We sing songs together and recite poems. The children also receive lessons in music appreciation, exploring the sounds of different instruments and listen to compositions of famous Hispanic composers. In the Children’s House we continue practicing how to be patient and wait to be invited to join the circle. It seems like the children understand more now when the lesson is just for the third years. Practicing how to greet one each other with expressions like hola, ¿como estas?, and buenos días has become a routine and it is common to hear the children greeting me all the time (not just in the classroom) with some of these expressions. We are singing the Buenos dias song, including the morning, afternoon and night (días, tardes y noches), and some feelings like feeling good, happy, sad, and tired (bien, felíz, triste, cansado o cansada) and some cards are presented to illustrate the time of the day that the song is referring to. Singing continues being an important part of our circle. Some of the songs are, Hola, para ti y para mi (Hello for you and for me), Coco en la Cueva (Coco in the cave), El sapito (Little frog), la ronda de los Conejos (The rabbit song). These months the children have been working on expanding their Spanish vocabulary with words that have just one vowel sound at the time. And we are working right now with modes of transportation. A few of the third years have finished all their vowels sounds and their combination and they have started to work with the sounds “ll” and “rr.” The students have been also working with opposites, such as grande and pequeño (big and small), and grueso and Delgado (thick and thin). We have read different books related to what the children have been practicing. Some of the books are Percebe esta aburrido, El transporte, Mi Atlas Larousse de los animales (with emphasis on South America’s animals), and some poems and fables from Rafael Pombo. During Spanish Enrichment, the students continue working following acted instructions in Spanish. The sky is the limit. They are understanding when asked to open the door, close the door, bring the pencil, and give the book to a peer… It is just amazing! In the morning, during the work cycle, small groups have been working on getting more and more comfortable with the different letter sounds and working on how to split words in syllables and how similar it can be to English or French. The Elementary dual-language students use Spanish in everyday classroom conversation. They practice greetings and taking leave with expressions such as Buenos dias (good morning) Como estas? (How are you?) Bien y tu? (Good and you? ), among others. Students also understand basic instructions such as Levantate (stand up), Sientate (sit down), Vamos afuera (let’s go out), etc. They make requests with expressions such as puedo tener un papel? (Can I have a paper?) and Puedo estar en La Mesa de Espanol? (May I join the Spanish table?). They also practice exchanging personal information with expressions such as Cual es tu comida favorita? (What is your favorite food?) and Que te gusta hacer despues de la Escuala? (What do you like to do after School?). Spontaneous conversations in Spanish about likes and dislikes, routines, and daily activities are happening on a regular basis during lessons and lunch time. Students work on research projects in Spanish on topics such as transportation and parts of the body. They also incorporate Spanish into their mathematics work by counting (and skip counting) in Spanish. Students are greatly enjoying reading Spanish, especially when reading to the little ones in Children House classrooms. The students are making wonderful progress! The main goal at this level is to have the students being able to participate in conversations where they can create sentences while, at the same time, being able to ask and answer a variety of questions. During this time of the year, the students have started to work on a project. Some of them have chosen a coffee shop (and they are really interested on the story of coffee as well as the different ways of brewing coffee and why they are so different), others, have chosen a music shop or a pet shop. Dr. Angeline Lillard, professor of psychology at the University of Virginia, has been studying Montessori’s methods for more than two decades. Dr. Lillard asserts that traditional American schooling is in constant crisis because it is based on two poor models for children’s learning: the school as a factory and the child as a blank slate. As an alternative, Dr. Maria Montessori, the first female physician in Italy, devised a very different method of educating children, based on her observations of how they naturally learn. 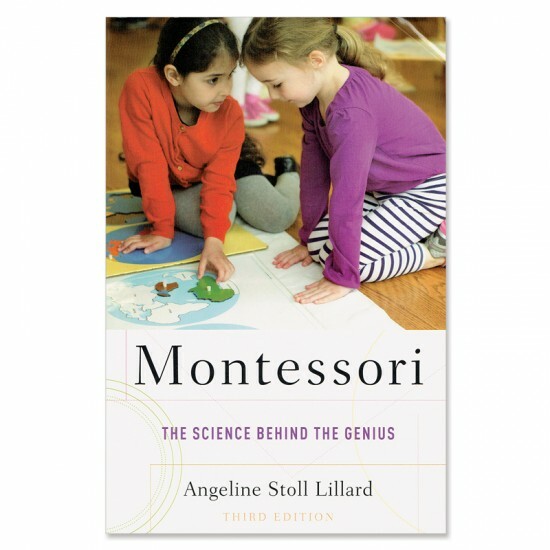 Though Dr. Montessori developed her methodology over 100 years ago, Dr. Lillard shows that science has finally caught up with her groundbreaking work. 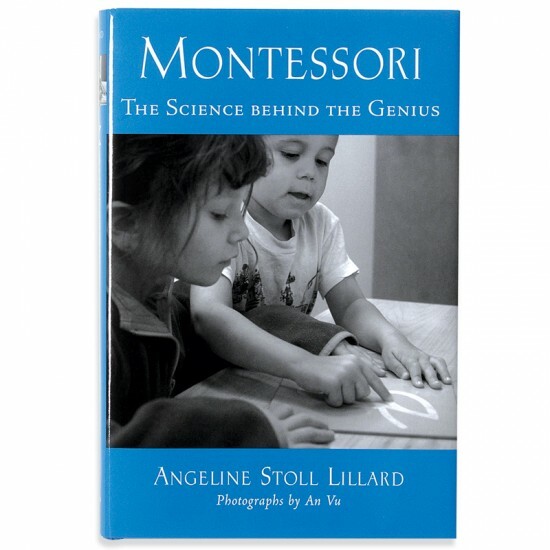 In her book Montessori: The Science behind the Genius, Dr. Lillard presents scientific studies that show how children learn best, makes clear why many traditional practices come up short, and explains why Montessori methods work. One such study is “Montessori Education Provides Better Outcomes Than Traditional Methods,” published in the September 29, 2006 issue of the journal Science. Among the findings were that 5-year-old Montessori students proved to be significantly better prepared for elementary school in reading and math skills than the non-Montessori children. They also tested better on “executive function,” the ability to adapt to changing and more complex problems, an indicator of future school and life success. Montessori children also displayed better abilities on the social and behavioral tests, demonstrating a greater sense of justice and fairness. And on the playground they were much more likely to engage in emotionally positive play with peers, and less likely to engage in rough play. You can read the full article reporting on this study here. Order in Environment and Mind – order in the environment helps children build internal order of the mind. In reading this book, parents and teachers alike will develop a clear understanding of what happens in a Montessori classroom and, more importantly, why it happens and why it works. A third edition of this groundbreaking work is now available! This semester will be divided into two sections, a Boomwhacker session and a Melodica session. The Redbuds will begin with boomwhackers, while the Mulberries do melodicas, and then switch mid-semester. We hope to end each session with a 5-10 minute performance for Children’s House classrooms. The repertoire will eventually settle around each class’ particular interests and strengths, but I will aim to include some nursery rhyme or folk song which Children’s House will recognize. For each session, the core competencies emphasized are: pulse, rhythm, pitch audiation. The Boomwhacker session develops these competencies in an ensemble setting (an additional competency of teamwork), and the Melodica session will focus on solo playing (an additional competency of individual performance accountability). 2) gain exposure to the concept of ‘text painting’ (reflecting the narrative of the words in the music) and how different composers do this. Other musical activities and exercises will support these two outcomes, for example, we will spend time on keyboards to learn about intervals, and what makes a ‘sad’ or ‘happy’ sound. Currently, we are gaining note-reading fluency in treble clef, while learning about musical ‘codes’ and ‘mottos’; small groups of notes which have special extra-musical meaning (ex. B-A-C-H [in German B-natural is H] in Bach’s final Art of Fugue). During the first five weeks of this semester, the Adolescents are preparing a short boomwhacker recital program which we will share with the Pickersgill Retirement Community on February 6th. The program includes a minimalistic pentatonic piece called “Drum Crazy,” an arrangement of the Bob Marley piece “Three Little Birds,” and “Pop Goes the Weasel,” which will include an interactive component in which the residence will also participate. Boomwhackers require a lot of individual accountability, as well as teamwork and patience, as each musician is in control of only two or three pitches of each phrase. This winter, Children’s House PE has been focused on understanding “pathways.” Classes have been structured by stations with a different task at each one. Students are learning different types of paths (zig zag, curved, over/under, around, through) while using different body parts and equipment (hula hoops, scooters, dots) to navigate from point a to point b. Students have also been introduced to tossing, bouncing, and catching (using scarves, bean bags, basketballs). We will continue developing gross and fine motor skills as we proceed into the rest of the school year. Lower Elementary has recently begun a jump rope unit. Students have been introduced to proper technique as well as the benefits of jumping rope. Students are given a worksheet with a list of different kinds of jumps. If they can consistently execute the jumps, they move on to the next worksheet with new and more challenging jumps. At the end of the unit, students will design and perform their own jump rope routine. This unit has been both physically and mentally challenging for the majority of students. Timing and rhythm are still developing in students at this age and it is very easy for them to get frustrated and discouraged. I stress the importance of patience, resilience, and maintaining positivity. Jumping rope takes practice. This unit has been good for their mental and physical toughness. Upper Elementary started a strength and conditioning unit at the start of the new year. Students are learning about the muscular system, body weight exercises, and the primary and secondary muscles that are engaged relative to each exercise. Each class I emphasize that we have the ability to exercise anywhere, anytime, with little to no equipment. Students are also learning a variety of small-space aerobic exercises. By the end up the unit, they will have the vocabulary and skills to form their own workout circuit. The idea is that they have the tools to be their own personal trainers! The Adolescents have recently started a badminton unit in PE. Our first class involved a variety of lead-up games that helped them understand positioning and movement on the court as well as hand eye coordination. As we continue the unit, students will learn the rules and scoring system, proper technique, and net set up and break down. We will spend the last few classes playing the game and perhaps have a round robin tournament. Lower Elementary students are reviewing how artists behave in their studio, with an emphasis on caring for their materials and art space. They have been exploring the tools of the drawing center, which include graphite and colored pencils, markers, and oil pastels. Students have begun to consider where artists get their ideas, by starting their own drawings based on memories. They have reflected on the art of William H. Johnson, who drew inspiration from his memories as well. Johnson’s work also exemplifies line variety, which prompted students to see how many different types of lines they could achieve in their own drawings. 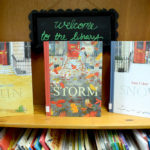 In the coming weeks, students will be exposed to more tools and techniques, with lots of choices available regarding their subjects and sources of inspiration. Upper Elementary students are reviewing how artists behave in their studio, with an emphasis on caring for their materials and art space. They have been exploring the tools of the drawing center, which include graphite and colored pencils, markers, and oil pastels. Students have begun to consider where artists get their ideas, by starting their own self-portrait drawings based on observation. They enjoyed a gallery-walk and compare/contrast conversation based on self-portraits by artists Leonardo da Vinci, Vincent van Gogh, Pablo Picasso, and Frida Kahlo. Many students chose to further their study of self-portraits with a focus on proportions of the face. Other students decided to start new drawings based on the set up of still-life objects, or working from their imagination. In the coming weeks, students will be exposed to more tools and techniques, with lots of choices available regarding their subjects and sources of inspiration. The Adolescent Community has chosen to participate in a five week “Drawing Boot Camp,” which is designed to help them improve their observational drawing skills. They have explored variations in line-quality using graphite pencils, and completed a pre-assessment drawing with an object of their choice. Students challenged themselves with blind-contour and continuous line drawings of their hands, which encouraged them to slow down and focus on their hand-eye coordination. The remaining weeks will include a demonstration on charcoal shading to achieve a three-dimensional effect, and will conclude with the observational drawing of an object which holds personal significance.